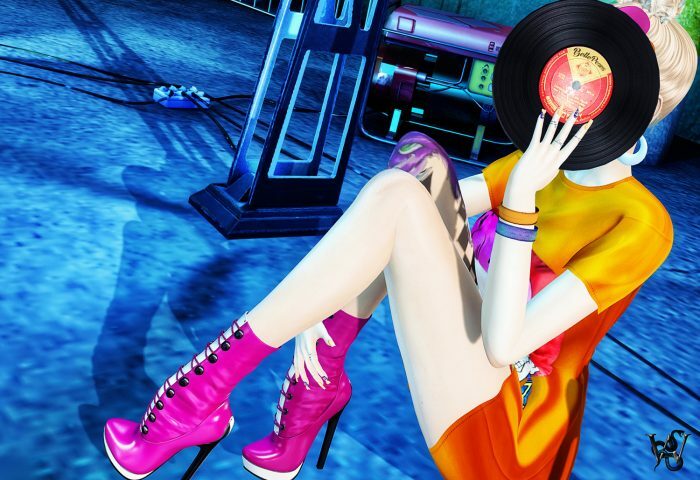 This entry was posted in Fashion and tagged :Z.S:, *PL*, 3D, 3D people, 80's, 80s fashion, Art, avatar, Belle Poses, bento mesh head, Blog, Blogger, Clothing, Couture, Dress, Fashion, Fashion in Pixels, fashion poses, Female Clothing, female wear, graphic tees, Hair, High Fashion, ide cream, Into the groove, Izzie's, Jewelry, Kismet Chrome, LeLutka, Madonna, Maitreya, Maitreya Lara Mesh body, meta virtual, MINIMAL. BellePoses, Model, model pose, Modeling, Modeling pose, Modeling Poses, music, musicians, neon colors, New, New Release, New Releases, News, photographer, Pink Hustler, pop, Pose, print shirts, Redfish, rock, Rosary, Second Life, Secondlife, simone mesh head, Sintiklia, SL, SL Clothing, SL Fashion, SL Style, Style, Tattoo, Ticky Tacky, Utopia shoes, utopia@design, vibrant colors, virtual fashion, Virtual World, virtualfashion. Secondlife, Wicca Merlin, Wicca's Wardrobe, woman, Zib Scaggs, Zibska, Zombie Suicide. Bookmark the permalink.